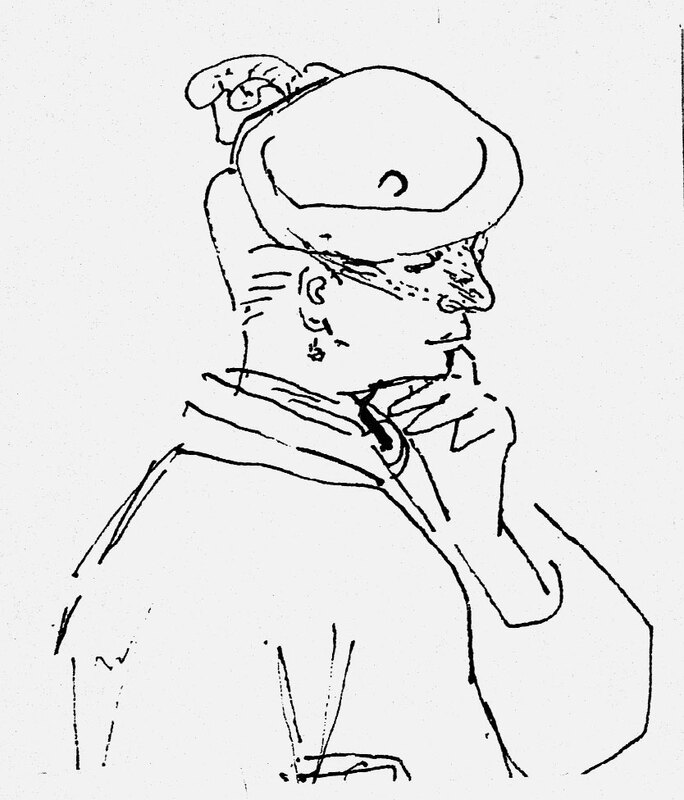 description A head-and-shoulders, pen-and-ink, profile portrait of a woman facing right, wearing a veiled and feathered hat; the fingers of her left hand have been brought up to her mouth as though in deliberation. Although observed in London East End, the sitter is more prosperously dressed than many of Frankfurther's other Whitechapel subjects. literature ed., B. Planskoy, 'Eva Frankfurther 1930-1959: Paintings, lithographs and drawings' (London: Peter Halban, 2001), illus., p. 34.